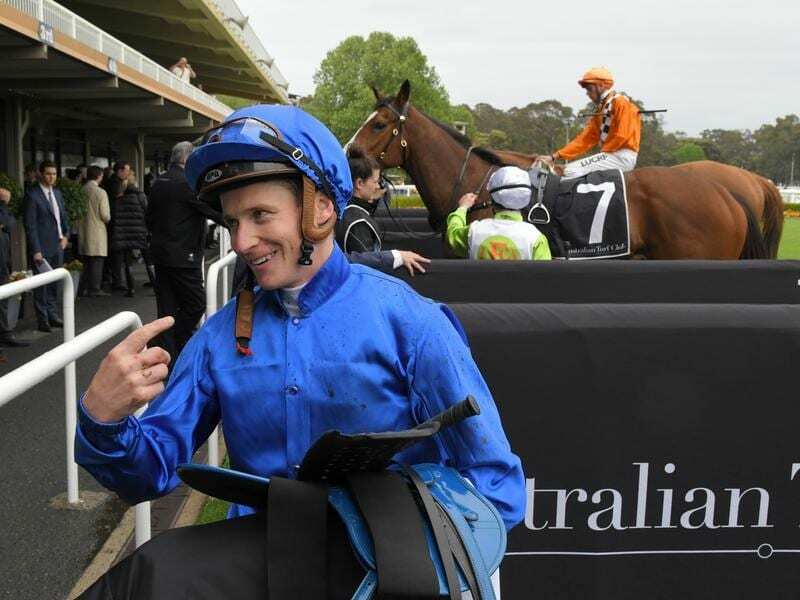 James McDonald is hoping he can turn his most productive day in the saddle since returning from a stewards’ ban into an even better result on Caulfield Guineas day. A rampant McDonald rode five winners at Warwick Farm on Wednesday, ensuring his confidence will be sky high for important rides at the weekend. His Melbourne mounts will include The Autumn Sun and Smart Melody, the favourites for the Caulfield Guineas and Thousand Guineas respectively. He will also ride D’Argento, the early betting pick for the Caulfield Stakes, and he will reunite with Hartnell in the Toorak Handicap. “It would be nice for a fiver on Saturday,” McDonald said. McDonald will be the only Sydney-based jockey at the Guineas meeting after his Everest ride Invincible Star was withdrawn from the $13 million race. It appears likely he will be well compensated as he chases his first Group One success in more than two years after returning towards the end of last season following a disqualification for betting. McDonald’s haul at Warwick Farm included three winners for Godolphin trainer James Cummings. Among the most promising of the trio was Roheryn, a fashionably bred colt who made a winning debut. Far from being at home on a track rated the heaviest possible, Roheryn’s breeding came to the fore as he edged clear for a three-quarters-of-a-length win. “He’s very special,” McDonald said. Cummings said Godolphin held high hopes for the three-year-old who counts the winners of a Victoria Derby and a Golden Slipper among his close relatives. “He is a Lonhro colt with a very big (pedigree) page and we hope he is a colt who will measure up for us,” he said. “They can only be promising in the early stages until they start delivering.